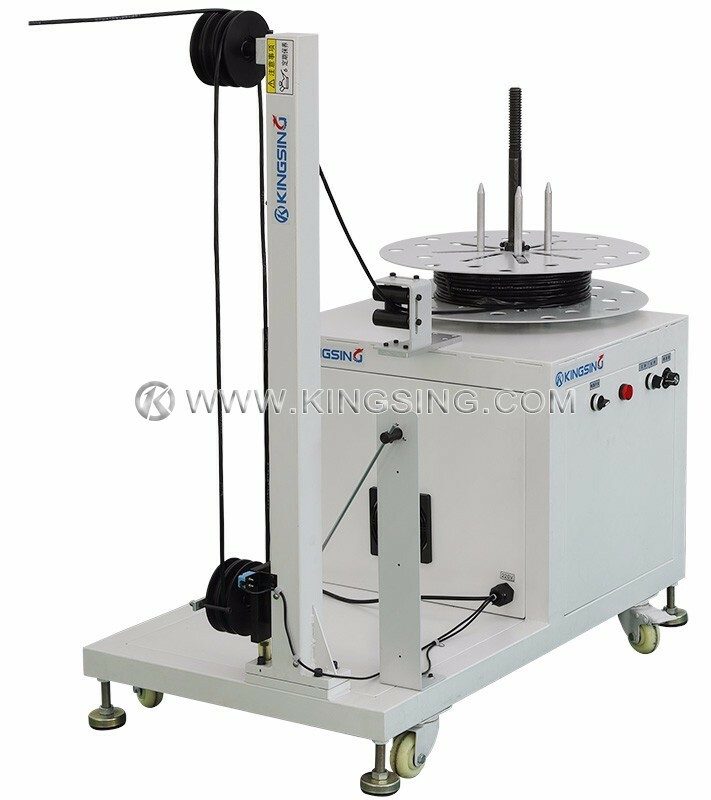 The Prefeeder KS-W220 is a highly dynamic prefeeding machine, which has been developed to feed cable and wire gently to automatic crimping machines or other wire harness processing machinery. 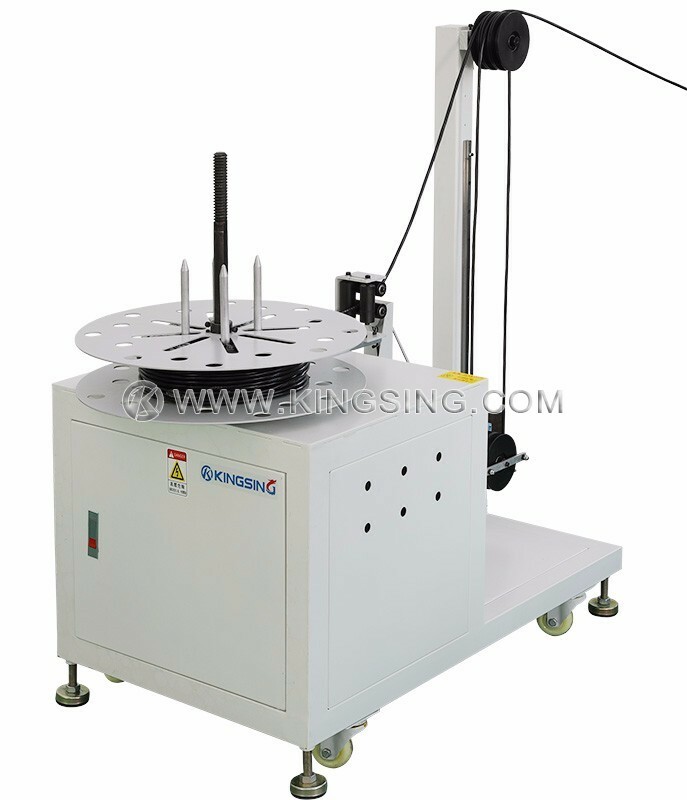 Due to the horizontal structure and pulley block design, this prefeeder works very stable and has large wire accumulation capacity. 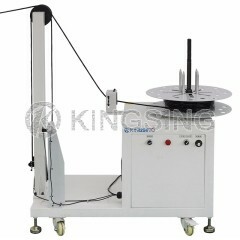 It features a high application range and does not require any electrical connection to its host machine. 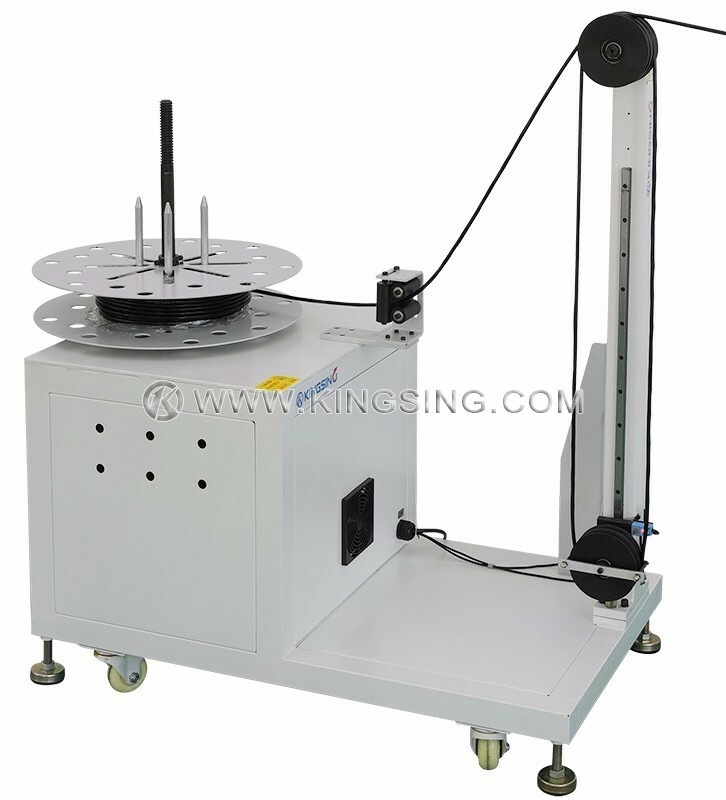 It distinguishes itself by carrying frequency control system which enables feeding speed automatically adjusts to the feeding demand. 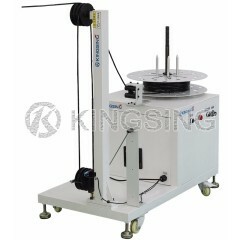 With its robust design, KS-W220 can handle Max. 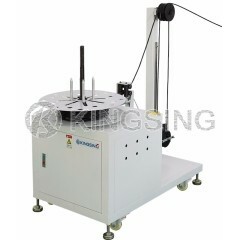 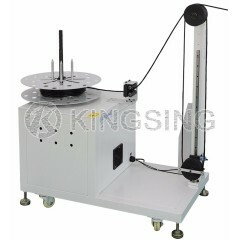 70Kg loose wire and reel wire alike. 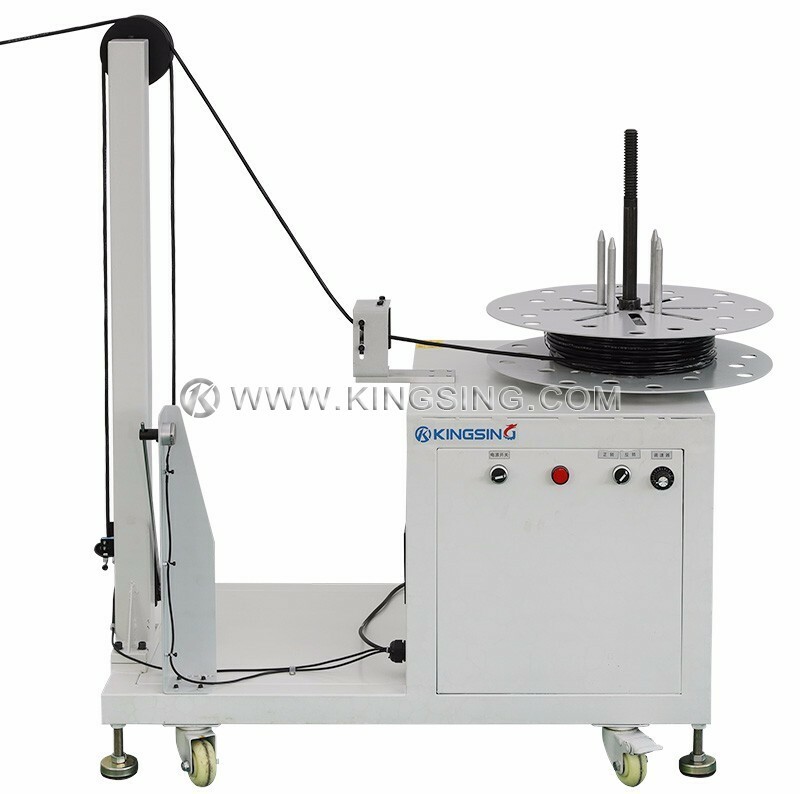 It's designed to provide constant strain, low tension payout of wire and cable, large wire accumulation capacity provides sufficient wire feeding.